PublishThis is a content marketing software company that works with global brands in need of a way to amplify their content to their target market. 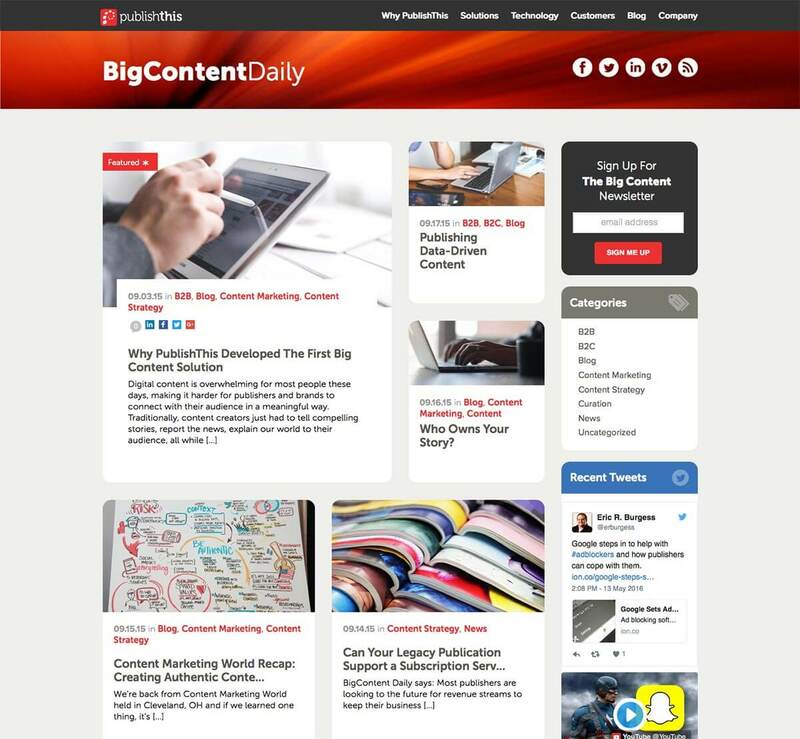 The new website design displays a revised, simpler message: PublishThis helps companies make better content more often. 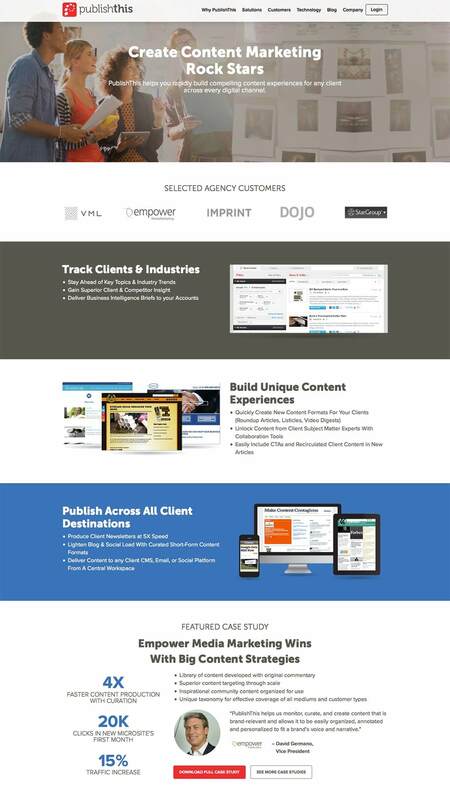 The end result is a marketing platform that better resonates with decision makers on the brand side (VP of Marketing, VP of Content) and the publisher side (VP Digital, Engagement Director) and channels them to the appropriate area of the website.